Please contact me regarding the 2012 Roller Bed trailer Conversions Fold-Up System - Listing# 149439 for sale at TruckerToTrucker.com. Take a look at this 2012 Roller Bed trailer Conversions Fold-Up System. It is Listing# 149439 at TruckerToTrucker.com. KieTek provides Trailer Roller Bed Systems in three versions: Permanent, Drop In, and Fold Up The Fold Up version has side guides that are bolted to the floor with the gate hinged from the side guide which allows the gate to be folded up and secured to the inside of the trailer. This application is great for people who do not have a need or use for a roller bed system all the time but still tend to use it once in a while. Will little modification to the trailer bed floor which is great for peopel who want to install it into Reefer trailers you will be able to and move products faster and more efficeintly. 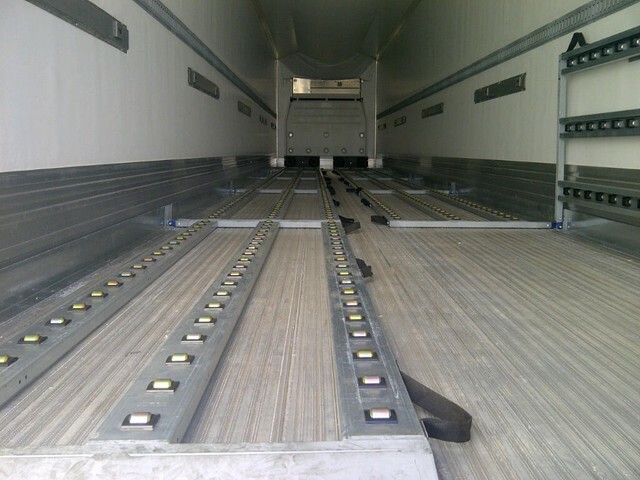 These units are not just for Air cargo but all types of freight. All of our systems are maintenance free which saves you money from running your truck on a phneumatic system.